Last week, I hopped over to Neubodi’s One Utama specialty store for their Pink A Promise of Hope to Live & Fight party. The whole store transformed into a heavenly pink sweetness with fluff and floating pink messages, floating pink balloons, pretty pink ribbon cupcakes and swiss roll tower (too pretty to eat). Neubodi Cash Your Bra for A Cause Campaign, alliance between Breast Cancer Welfare Association (BCWA) and Free The Girls Association: FIght Human Trafficking through Neubodi during the PINK month made an impactful awareness within Malaysian women. Ms Estee Ong, General Manager and Bra Fitting Specialist from Neubodi selected two lovely ladies from the crowd for a Bra Makeover session. Bra makeover session is crucial as it visually shows the significant difference when one puts on a Neubodi bra. As we can see the before and after the Bra Makeover there were lots of difference. Their body shape and bust is enhanced. 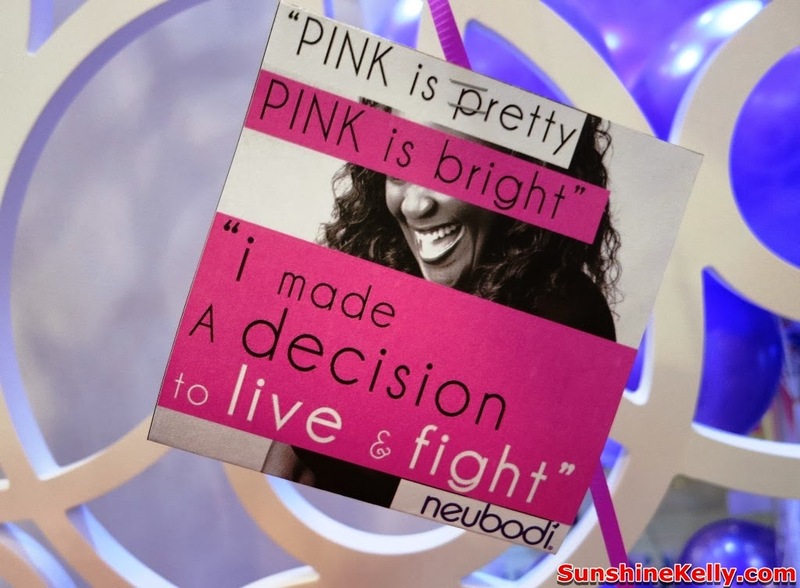 Don’t forget to Get Your Right Fit at Neubodi. 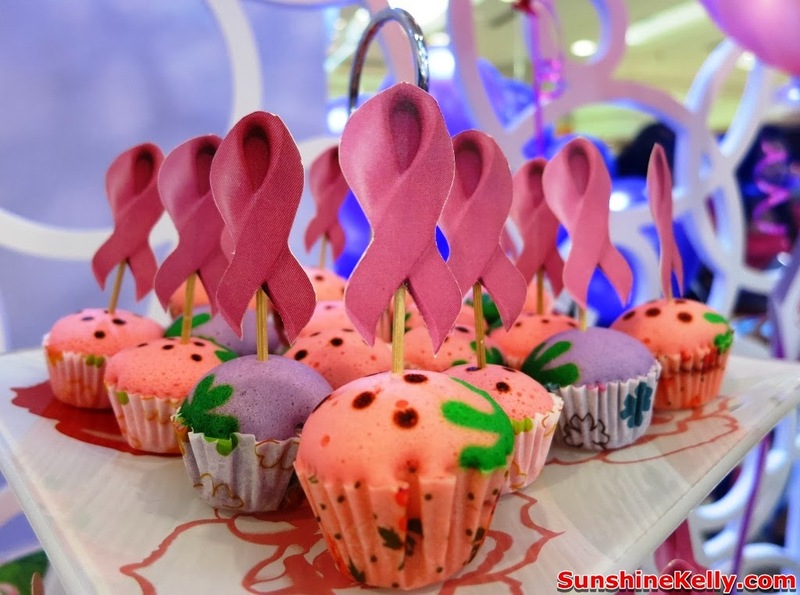 After that, there was a breast cancer monologues read by Ms Anushya Safira, Marketing and PR Manager of Neubodi and also Nadine. Three females - Jenny the business woman, Linda the college student and Mandy the mother, all three women were breast cancer survivors personified by models. The models were able to reenact the experience, and the pysche of the survivors to a point where some of the audience were so touched, they even teared. 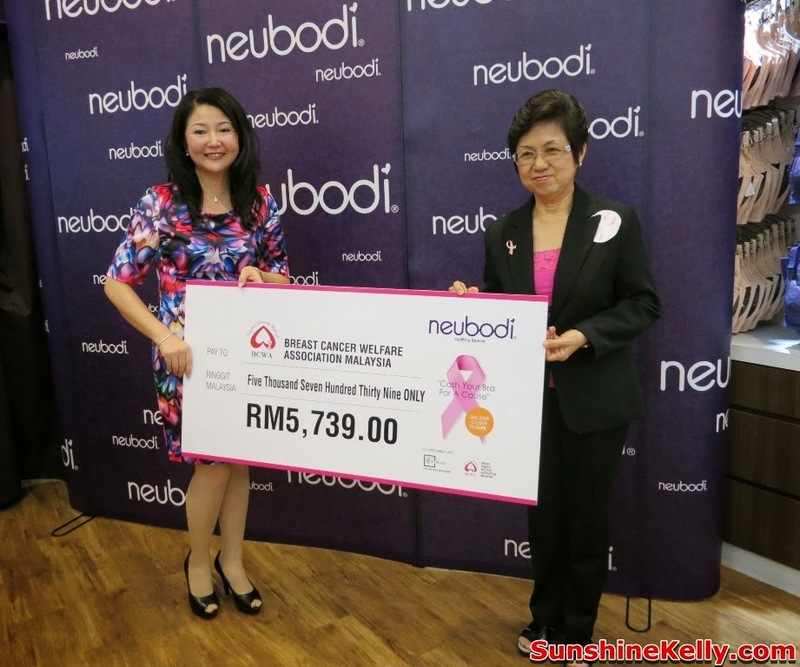 Neubodi’s founder, Ms Anne Tan passed a mock cheque worth RM 5,739.00 from Cash Your Bra for A Cause campaign proceeds to Ms Tammy Walker Tam from BCWA. 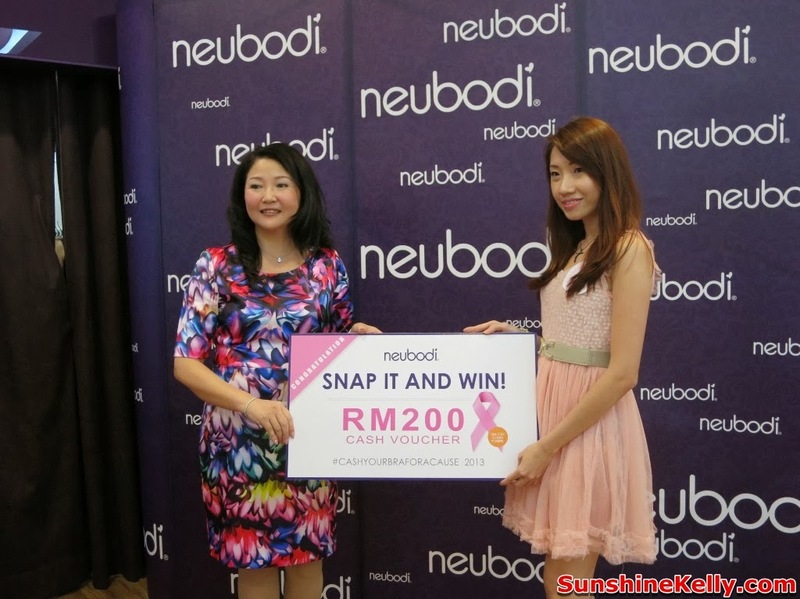 Ms Jenny Lau was the lucky SNAP & WIN winner for Neubodi’s Social Media contest during the Cash Your Bra for A Cause campaign. 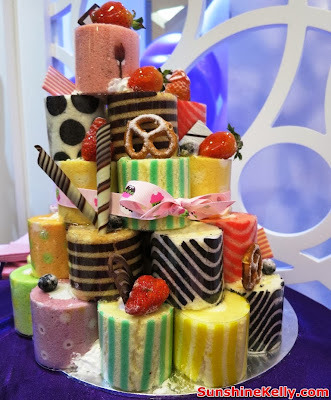 Nadine Ann Thomas; Ms Tammy Walker-Tam, Vice President of Breast Cancer Welfare Association (BCWA) along with Neubodi’s Starlets; Amber Chia; Charlene Wong from MixFM; Yvonne Lee, Ms Malaysia World 2012; and Linora Low.